The region of East Bali has some of the most beautiful sights in the Island of the Gods. 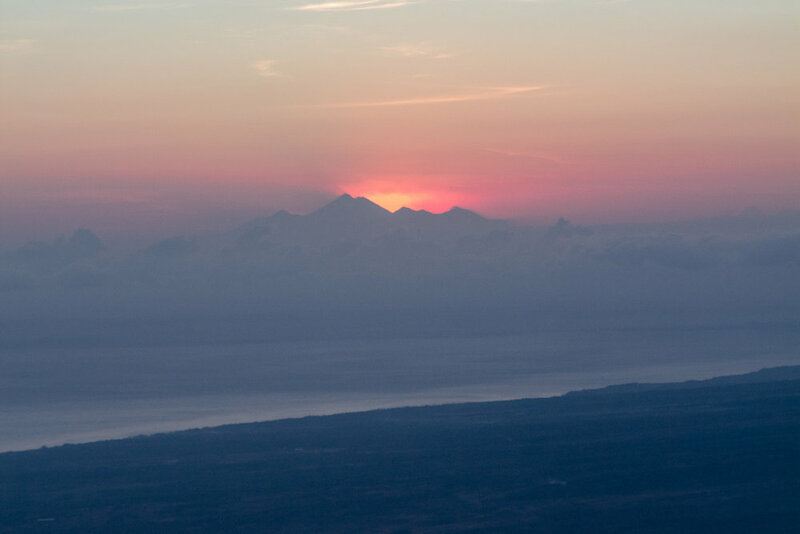 Towering over the region is Mount Agung, Bali's largest active volcano. 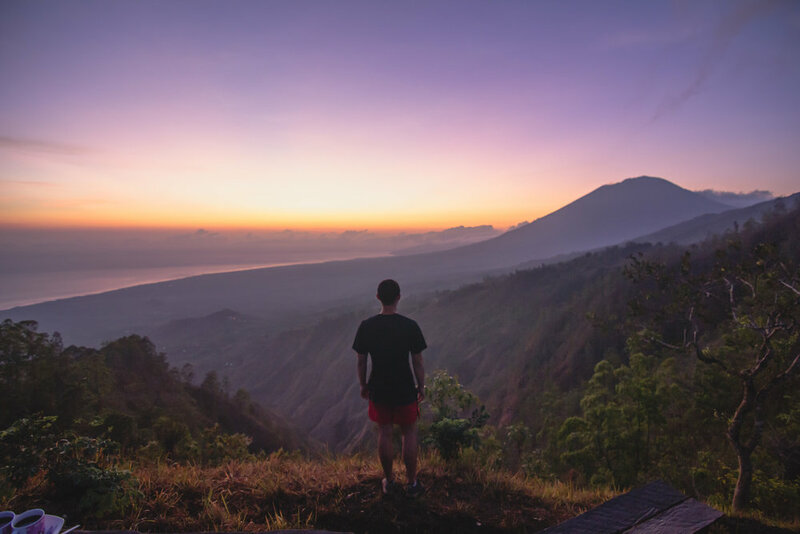 Throughout East Bali you will find stunning volcano views, black sand beaches and traces of Mount Agung's destructive past. You will also discover hidden waterfalls, sacred temples and fascinating marine wildlife. Here are our favorite things to do in this lesser-visited region of Bali. 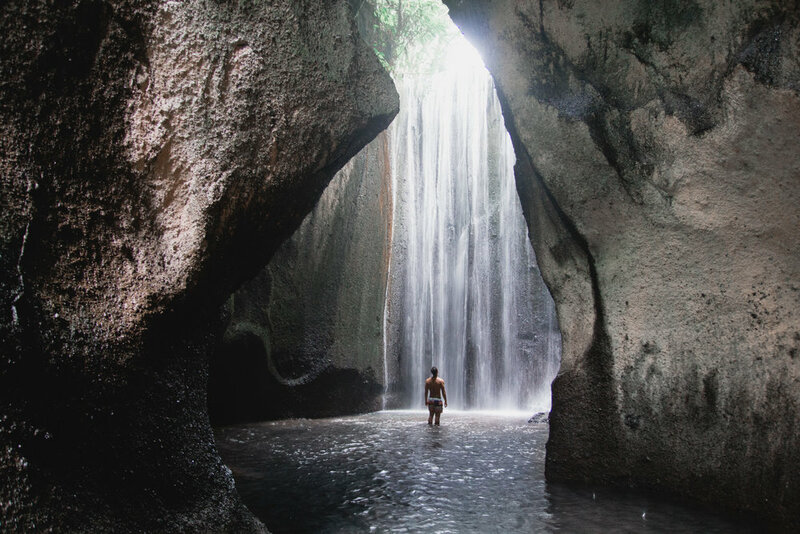 When coming from central or south Bali, the first thing you'll pass on your way east are some of Bali's most unique and relatively untouched waterfalls. Our favorite of these, Tukad Cepung waterfall, is located inside of a cave and is unlike any waterfall we've ever seen. The opening at the top of the falls apparently create gorgeous light rays in the morning (although we went on a cloudy day and can't speak for these). Another relatively unknown waterfall in the area is Kuning waterfall, whose 25 meter waters cascade down a jet-black rock face. On a clear day, the "gates of heaven" at Lempuyang Temple perfectly frame Mt. Agung in the background. Unfortunately, this temple gets extremely crowded, and we've heard of people waiting up to 1.5 hours just for a photo at these famous gates. For this reason we recommend visiting this temple at sunrise or as early as possible! While most tourists only visit the first temple then leave, there are actually seven temples within this complex. If you are up for the hike, the highest of these is 1400 steps to the top! 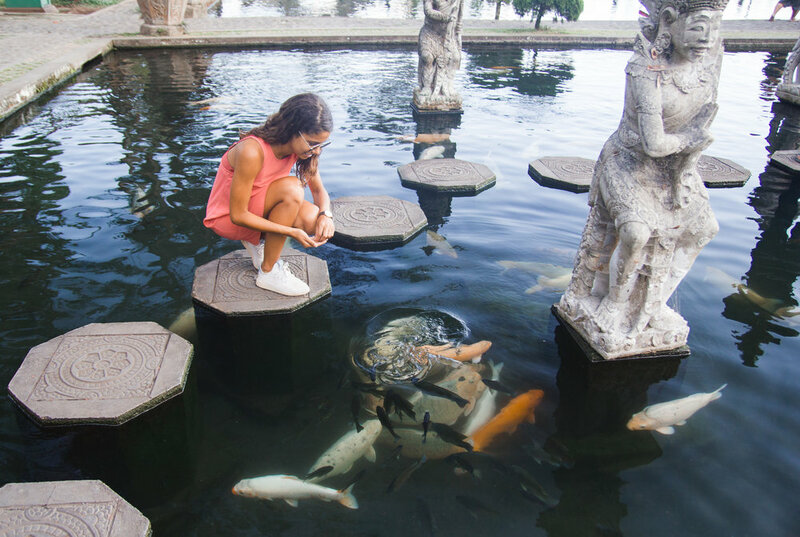 Built in 1919 by Dutch, Chinese and Balinese architects, Taman Ujung is home to European-style buildings and enormous pools. The eruption of Mt. Agung in 1963 largely destroyed the palace, which has since been partially reconstructed into a large and peaceful park. From the highest point in the park there is a wedding chapel, which offers beautiful views of the coast and surrounding area. 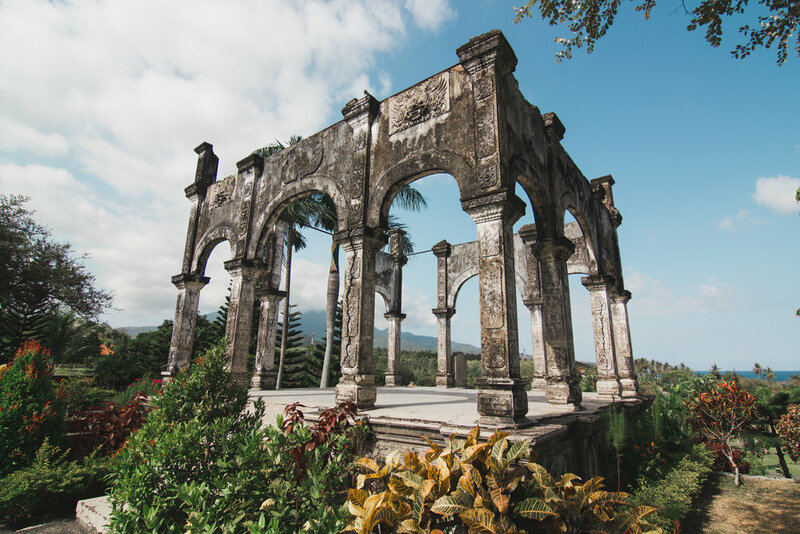 Built in 1946 by the King of Karangasem, Tirta Gangga was also almost entirely destroyed by the 1963 eruption. 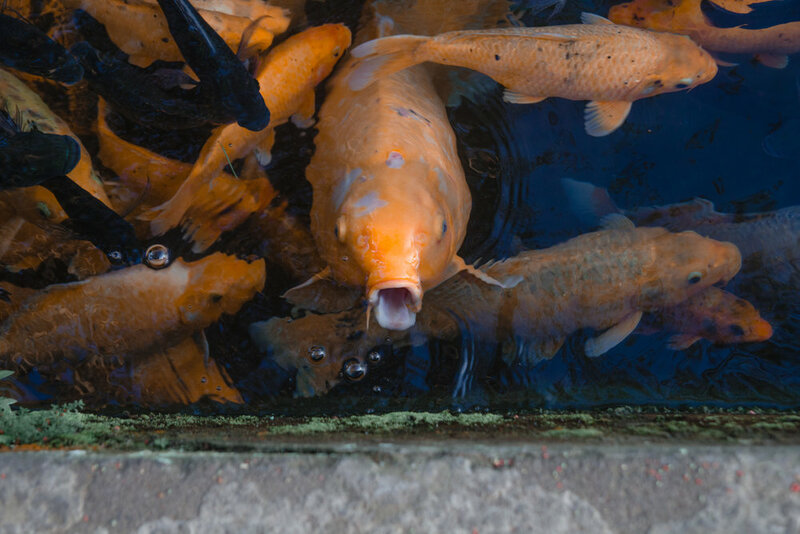 This small water palace has since been restored and is home to several enormous koi fish that you can feed in its fountain studded pond. If you are not yet SCUBA certified, Amed has dozens of dive shops where you can get your beginner, advanced and even freediving certifications. We did our beginner SCUBA certification with Adventure Divers Bali and highly recommend getting certified with them! The course takes 3 days, and costs about $330 USD. In the 5 dives we did for the course we explored the USAT Liberty shipwreck, saw numerous octopuses, stingrays, turtles, shrimp, sea horses, eels, bumphead parrotfish, barracuda, lionfish, and countless other creatures. Otherwise, if you are already certified, there are numerous dive sites in Amed and Tulamben, the most famous of these being the USAT Liberty wreck. The U.S. army ship, which had been used in both WWI and WWII, was torpedoed by a Japanese submarine in 1942 and towed to the shores of Bali. The rumblings from the 1963 eruption of Mt. Agung later moved the ship offshore and into the water, where over the years the ship has been completely overtaken by colorful corals and tropical sea life. Mount Agung and Mount Batur are East Bali's tallest active volcanoes. The most popular volcano trek in the area is the Mount Batur sunrise trek. This trek takes 1-2 hours to reach the summit at 1717 meters. Alternatively, you can do the less crowded and easier Batur Caldera trek. This trek takes only 45 minutes to the top and offers stunning views of Mt. Batur, Mt. Agung, and Mt. Rinjani. While Mt. Agung has been closed to trekking due to recent activity, there is also the option of trekking this 3033 meter high volcano when it reopens. This is our favorite hidden gem of East Bali. From this viewpoint you have a stunning view of rice fields at the base of Mount Agung. With no signs, no parking lot nor entry fees, Bukit Cinta is a quiet spot to enjoy nature away from the tourist crowds. Lay a blanket down on the grass and watch the sunset (or sunrise) as Mt. Agung towers in the background.